Norma Meacham is a co-managing partner of Whiteman Osterman & Hanna and has been a partner with the Firm since 1997. Her areas of expertise include all aspects of labor and employment and education law including employment policy, collective negotiations, arbitration, disciplinary proceedings, PERB and NLRB proceedings, employment discrimination and related litigation. 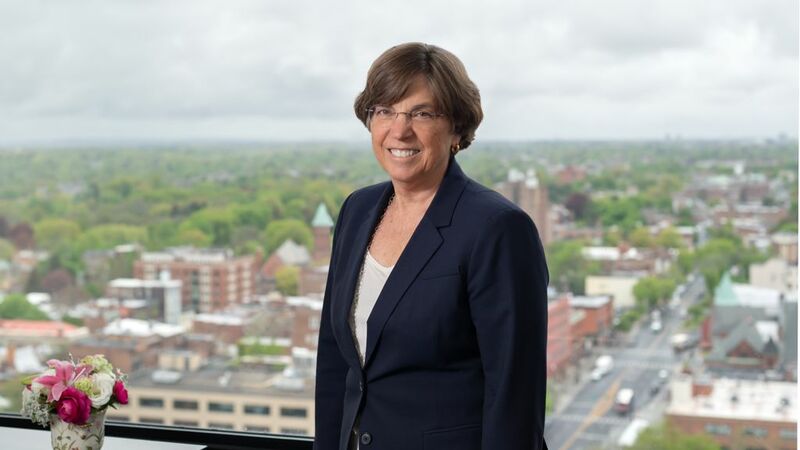 Prior to joining the Firm, Ms. Meacham was Director of Human Resources for the New York State Unified Court System, with responsibility for employee relations, personnel, equal employment opportunity, training, payroll and judicial benefits. She previously served as Director of Employee Relations, Deputy Director of Employee Relations, and employment counsel for the judicial branch. Prior to serving in the public sector, Ms. Meacham was in private practice. Provide labor relations counsel to a public authority(s) including investigation, collective bargaining advice and representation before PERB, in arbitration, DHR, state and federal courts. Represented departments of the State of New York in disciplinary proceedings against employees charged with incompetence, misconduct and dereliction of professional duty. Negotiated between 75-100 collective bargaining contracts. • Successfully negotiated employment contracts in the public and private sector on behalf of several clients, including an on-the-air television talent seeking an employment contract with a major station in a larger market. Represented numerous school districts in protracted Section 3020-a and Section 75 proceedings concerning charges of mental incompetence, misconduct and professional incompetence. Successfully defended and investigated a number of school districts against charges of sexual harassment or discrimination involving employees and students. Represented school districts in negotiating special health insurance provisions, retirement incentives and shared decision-making issues. Successfully defended contract arbitration and PERB claims for school districts. Assisted a private sector manufacturing company concerning strategy in a business reorganization. Provided guidance to numerous private sector manufacturing companies concerning strategy in collective negotiations and union representation status. Provided guidance to a private sector start-up company and other manufacturing companies on employment practices and procedures, offers of employment and severance agreements. Negotiated collective agreements and successor agreements for a private sector start-up company. Ms. Meacham was the Secretary of the New York State Bar Association’s Labor and Employment Law Section and is a Member at Large of the Executive Section. She also is a member of the House of Delegates to the New York State Bar Association and is a member of the New York State and American Bar Association, Labor and Employment Law Sections. She is a member of the New York State Bar Association’s Committee on Alternative Dispute Resolution, the Municipal Law Section Employee Relations and Collective Bargaining Committee, Labor Law Section Government Employment Relations Committee and Continuing Legal Education Committee. She is a member of the American Bar Association’s Technology Committee of the Labor and Employment Law Section. She is a member of the National Council of School Attorneys and the New York State School Attorney Association. She is a member of the President’s Council of Cornell Women and member of the Governor’s Judicial Screening Panel for the Third Department. She is the former President and Vice-President to the Capital District Labor and Employment Relations Association. She was a member of the Board of Directors of the New York State School of Industrial and Labor Relations of Cornell University’s Alumni Association. She is also a member of the Board of Directors for Saratoga Performing Arts Center. She has lectured extensively on school law and labor and employment law issues for various organizations, including the American Bar Association, the New York State Bar Association, the Albany Law School, the Pace Law School, Siena College, Cornell University, the State University of New York at Albany, the State of Alaska, the IRRA, Lorman, New York State School Boards Association, HR Seminars, Questar III, National Academy of Arbitrators, and the Capital District Area School Administrators. Ms. Meacham was an Assistant Editor of the New York State Bar Association’s Labor and Employment Law Newsletter from 1987- 2001 and is a contributing editor to the Association’s 1989 and 1999 treatise entitled Public Sector Labor and Employment Law and its supplements for 2000 – 2002. Ms. Meacham is the author of the chapter, “Serving Municipal Clients: The Challenge of Difficult Times” in Navigating Municipal Employment Issues (2011, Aspatore). Ms. Meacham has served on the Executive Committee of Whiteman Osterman & Hanna LLP for eight years. She has been listed in Best Lawyers in America, Super Lawyers and Top Lawyers. She has an AV rating with Martindale-Hubbell.